Welcome to our first part in what is hopefully going to be a series of troubleshooting articles dedicated to the Apple iPhone 6. As you already know, this model as well as the iPhone 6 Plus are two of the latest iPhone models of the company that have been released recently. Both devices sport a newer and more advanced hardware while using the latest iOS 8. Having a powerful hardware and new software however doesn’t mean that it is free from any issues. If you own the iPhone 6 or any other iPhone model for that matter feel free to send us a message to our mailbag questionnaire. We will be more than happy to assist you with any concern that you may have. This is a free service we are offering to our readers with no strings attached. We do however ask that when you send us an email try to be as detailed as possible so that an accurate assessment of the issue can be made and the correct solution can be provided. Solution: One of the most common issue owners of the iPhone 6 are facing is an intermittent Wi-Fi connection. The phone connects to a Wi-Fi hotspot normally then all of a sudden it disconnects. While it’s not really a deal breaker it can be frustrating when it happens. If your phone has this problem then follow the troubleshooting steps below. First make sure that your phone is running on the latest software update. Right now Apple has already released iOS 8.1 which comes with several new improvements and bug fixes that may resolve this issue. Restart your router and your phone. By restarting both devices you are starting fresh and eliminate any sync related issues between both devices. A lot of owners who have faced this issue say that disabling the Wi-Fi networking services helps eliminate the issue. Just go to Settings > Privacy > Location Services > System Services and disable it. This does not disable the Wi-Fi feature of your phone but only its location service. Resetting the network settings also helps. Go to Settings > General > Reset and tap on Reset Network Settings. Problem: I’ve recently noticed some major issues with my touch screen on my iPhone 6. It started on Saturday afternoon … I was on Facebook and it started randomly going to different pages w/o me even clicking on anything on the screen. I also noticed as I was trying to type messages that the letters I was trying to hit were not the ones displaying. I attributed it to my fat fingers and powering the phone off/on seemed to fix the issue. Well today it has gotten progressively worse. My screen starts to shake/glitch then it’ll start randomly opening up apps, typing text and opening other pages in the apps, all without me even touching the touch screen. I’ve also noticed what seem to be “dead spots” on the touch screen where it will not respond when I touch it. Has ANYONE else experienced anything like this? It sounds like I’ll be due for a trip to the Apple store (again) unfortunately. Solution: Generally, for any touch screen related issues you will want to do a soft reset on your phone first. To do this simply hold down on the Home button and the Sleep/Wake button until the phone restarts and you see the Apple logo. Yup should also make sure that your phone is running on the latest software update. Apple has already released iOS 8.1 which comes with improvements and fixes which might resolve this issue. If after following the steps above your phone is still experiencing the same issue then you might want to bring it to the nearest Apple store. Problem: My iPhone 6 has been experiencing a loss of sound. Incidental sounds like key clicks, lock sound, etc. simply don’t make any sound. You can even go into the sounds settings and try to play one of the sounds, like the new voicemail sound, and the phone vibrates but no sound out of the speaker. The volume is up. I tested while it was doing this and it will play ringtones when receiving a call but none of the other sounds. Powering the phone off/on or performing a soft reset clears the issue but it eventually comes back. Anyone else experiencing this or is it time to call my carrier or visit a store? Solution: For no sound issues on the iPhone 6 the first thing that you should check is to make sure that the silent mode is not activated. There is a switch on the upper left side of the phone which places it in either Ring Mode or Silent Mode. In ring mode, iPhone plays all sounds. In silent mode, iPhone doesn’t ring or play alerts and other sound effects (but iPhone may still vibrate). Performing a soft reset may also resolve this issue. Hold down the Home button and the Sleep/Wake button until the device restarts and you see the Apple logo. If the issue keeps on coming back then I suggest bringing your phone to the Apple store. Problem: I just got my new iPhone 6 and the back camera not working what should I do? Solution: For any camera related issue follow the troubleshooting steps below. If your device has a front and rear camera, try both cameras by tapping the camera swap icon Camera swap icon. If you see the closed lens or black screen on only one camera, take your device to an Apple Retail Store or Authorized Service Provider for more help. Problem: Tried 2 iPhone 5 units before iOS8 and no issues with Bluetooth (1 I had for 2 years and no issues in my car). Once updating to iOS8 the Bluetooth didn’t work well at all for phone calls but music connects fine. Strange issues with the unit automatically start dialing but not able to cancel call until you disconnected Bluetooth. Also incoming calls ring but unable to answer and seem to lock up so you have to disconnect Bluetooth to hang up. I tried everything listed in the forums here and what the Apple reps told me. It works for a short while until the phone gets turned off or synced with iTunes. Now I have a new iPhone 6 with iOS 8 and it worked initially before I started setting things up. I did not restore from a backup, I started as a new phone. Once I installed all my apps (Not in iTunes, rather manually over the air) and changed settings on the phone (not sure if it because of changing settings or turning the phone off) it would not connect to Bluetooth in my car anymore, well it does just for music. I have tried my wife’s iPhone 5c and it seems to work fine with my Bluetooth so it definitely has nothing to do with my vehicle. Solution: Several iPhone 6 owners are also facing similar issue with their Bluetooth connection. Follow the troubleshooting steps listed below to resolve the issue. Turn Airplane mode on for 30 seconds, then turn it off and try connecting again. Hold down the home button and the Sleep/Wake button until your device restarts. Go to Settings > General > Reset > Reset Network Settings and then setup your Bluetooth again. It also helps if you are using the latest software for your phone. Apple has already released iPhone 8.1 which comes with improvements and bug fixes that may help resolve this issue. Problem: Yesterday I left my iPhone able to make calls and use 3G. When I went to sleep, I made no change whatsoever to the phone. Today when I woke up, although the network appears in the top left corner with signal strength, I can’t make any calls or access 3G. I asked for a new SIM CARD which still doesn’t work. I tried this new SIM CARD in another iPhone (5) and it works perfectly. I had iOS 8.0.2, already updated to iOS 8.1 and the problem persists. I did not drop the phone, didn’t slam it against anything. Solution: This is one of the common issues owners of the iPhone 6 are facing. One minute they can make calls normally then the next the phone can’t make any calls at all. Follow the troubleshooting steps below to resolve this issue. Restore the phone as new. 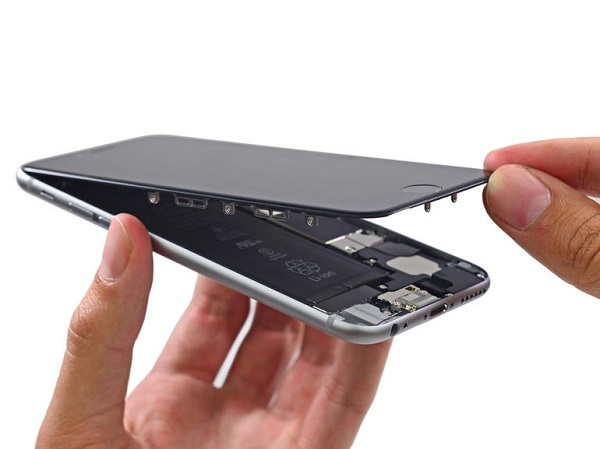 Problem: Has anyone noticed that their iPhone 6 will power down and restart on its own? I thought it happened twice before, but just saw it happen. I am not referring to just going to a dark screen. I mean going to a black screen, the white apple logo showing up, and then requiring a non-Touch ID login? I thought it may have been the apple case for the iPhone, but I did not swipe to power off. Very strange. This happened before and after update from iOS 8 to iOS 8.02. Solution: One of the most annoying problems that can happen to a phone is if it reboots randomly. Before troubleshooting this issue make sure that your phone is running on the latest software update. Apple has already released iOS 8.1 which comes with improvements and bug fixes that may help resolve this issue. To resolve this issue follow the troubleshooting steps listed below. Go to Settings > General > Reset and tap Reset All Settings. It won’t delete any of your files or apps, but you’ll need to re-enter passwords and choose wallpaper again. If an app is causing the issue try uninstalling your apps one at a time or you may opt to do a factory reset. not just iCloud, any email address it often asks for the password, even when it is still receiving & sending the emails. Can anyone address the issue of an iPhone 6 constantly asking you to sign into icloud?